Hey guys! It’s Noel! Today I’m doing a post with Shreya Jindal! 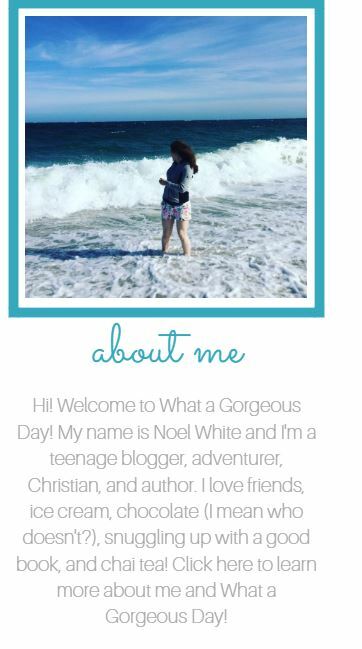 Be sure to go check out her blog! Hopefully as you’re reading our questions you feel like you’re eavesdropping on our conversation! Or maybe even part of it! 1. What are your resolutions regarding your wordpress blog? Shreya: The resolutions for my blog are to reach out 500+ followers, read more and discover new blogs and write posts which people can relate to their daily chores. Noel: I’d love to get my own domain name someday, and I’d also like to someday put ads on my blog in order to start making my hobby a job, but overall I think that I just want to be a real blogger, not artificial. 2. Have you ever received a recognition award in co-curricular activities? Shreya: Yes I have many awards in my basket. I am a state level baseball player for which I got the team trophy being the leader. I have won a trophy and a cash prize of 30000Rs at first place in painting contest held in ‘Kalabharti art club, Maharashtra’. I am also a throw ball player at district level. Noel: I’m a competitive swimmer and once I received the award for the most supportive teammate! It made me so happy inside to see that people were encouraged by me. 3. Which are your favorite books? Shreya: some of my favourite books are ‘And then there were none’, ‘Peril at the end house’, ‘An owl mystery’ and are all by ‘Agatha Christie’and ‘Revolution 2020’ and ‘Half girlfriend’ by ‘Chetan Bhagat’ as latest read. Noel: How can I choose? All books are wonderful! If I have to answer I’d say some of my favorite series are the Little House series by Laura Ingalls Wilder, The Hunger Games by Susan Collins, Divergent by Veronica Roth, The Giver by Lois Lowry, The City of Ember by Jeanne DuPrau, and the Maze Runner by James Dashner. Some of my favorite stand-along books are The Candymakers by Wendy Mass, The Fault in our Stars by John Green, and The Geography of You and Me by Jennifer E. Smith. 4. Tell us something about your birthplace and yourself. Shreya: I was born in Punjab, India. As a local language I know punjabi and of couse english but I do know 6 other languages also( Spanish, Tamil, Hindi, Urdu, German, Maltese and French). Noel: I was born in Montgomery, Alabama, but I don’t really remember it because we moved about a year after I was born. A fun fact about myself is that I’ve never lived one place for more than one year. I’ve lived all over the United States! 5. How many blog views, blog followers, and blog likes do you have presently? Shreya: I started my blog on 29 february, 2016 (as it comes after every four years and to make it a special one) and now my total blog views are 5,760, blog followers are 78 and blog likes are 490. Noel: I have 111 followers! I have a special post planned soon to celebrate so be sure to stay tuned! I have so many amazing followers and I can’t wait to reach more people! Last year (I started my blog last November) I had 259 visitors, 956 views, and 283 likes! 6. What do you typically do when you hang out with your friends? Shreya: Hmm! This is the question I am very happy to answer. When I and my friends hang out we lock up ourselves in a room and puta tag on the door ‘NO ENTRY’. In the background songs are played with a bowl full of popcorns in the centre, coffee mugs and some chocolates with lots of gossiping. Noel: Me and my friends typically sit around either in their room or in their living room, with a bag of chocolate, some music or a movie in the background, and we have a lot of laughter and a lot of ranting! If we’re not doing that then we’re either out shopping, trying out makeup looks, going out to eat, or swimming! 7. If you had intro music, which song would it be? Why? Shreya: It would be ‘perfect’. I just love this song to infinity. I would love to lie under a mistletoe and singing it out loud. Noel: Probably Darth Vader’s theme from Star Wars because I’m just that awesome. Actually, if I were to be completely honest It’d probably either be Singing in the Rain, or Undying Love by Two Steps from Hell. They’re both really different, so I guess you guys can be the judges! 8. Are you an organized person? Shreya: No not at all! My mum really keeps on shouting on me 24/7 to keep my room clean but the reality is that I don’t love to live in a clean room( shh but don’t tell). I am organised in maintaining a study schedule and I am proud of being organised at mind at least. Noel: Straight out no. Honestly, I like to keep my stuff in perfect chaos. I know where everything is, but it’s never put away. if you were to look at my room right now you’d probably stop looking at my advice. 9. Who is your closest friend and how did you meet them? Shreya: I don’t like to be betrayed and is the only reason I don’t like making best friends. Well! I love to talk to everyone and initiate a conversation with an unknown because he knows nothing about me and I’m free to talk without the fear of any judgements. But I do have a best friend and is my shadow named ‘Shadow Shreya’ and it really exists. Noel: Goodness gracious! I think my closest friend is my friend Evie. We met when I lived in California. She knows everything about me, and she knows if something’s wrong just by reading my text messages! I love her so much! We’re soul sisters. I have a lot of other really close friends too, and I hate feeling like I’m picking one person over another. 10. Which movie always makes you cry? Shreya: Its one and only ‘Titanic’. I really paused the movie to cry be it any number of times. i really love, Jack’s character very very very much there. 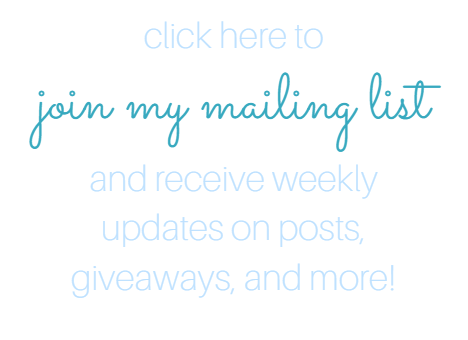 Thanks so much for reading and don’t forget to check out Shreya’s blog! Comment below what YOUR intro music would be! Noel White: Definitely Fault in Our Stars. You already know how it’s going to end, yet you still break down in tears every time. Another really sad one is The Boy in the Striped Pajamas. I’m crying just thinking about it! Thank you so much for reading, and don’t forget to comment below which intro music YOU would have. I have nominated your blog for Liebster Award , please acknowledge the award. Thank Reema! I’ll be sure to check it out! I’ll probably do it sometime next week.😁 Thanks again!!! To agree with both of u, both TFIOS and Titanic made me cry. And i loved all your answers and Shreya’s. This is such an amazing collaborative way to let your readers know a bit more about it. Noel, I always wanted to make money by blogging just like you, but now more than anything all i wish is to meet new bloggers from different places and discover new blogs. So can we be friends as well? Of course! I’m so glad you reached out! Thank you so much! I just followed your blog right now!